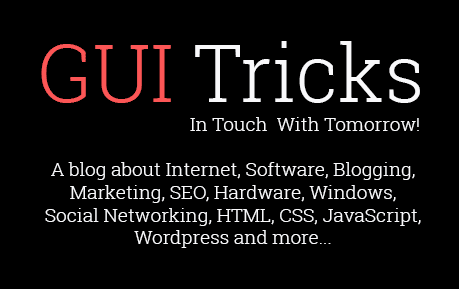 Pros And Cons Of Mac OS X El Capitan | GUI Tricks - In Touch With Tomorrow! Pros And Cons Of Mac OS X El Capitan - GUI Tricks - In Touch With Tomorrow! The time is almost over when Pro version of Apple’s new operating system macOS Sierra is about to be publically available. There are a lot of expectations from this new version hence for Yosemite and earlier user’s OS X El Capitan can be considered as a good deal than to be waiting for macOS Sierra. 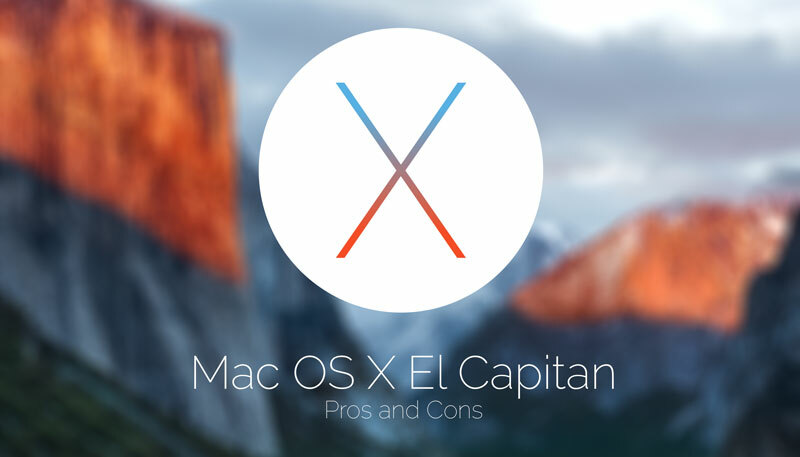 Here we can discuss the pros and cons of upgrading to OS X El Capitan. These points include advantages of installing OS X El Capitan and disadvantages of it. It is the major attraction in El Capitan as it offers range and variety of features to support easy functioning. As per the information available with the users, El Capitan is faster and more responsive than its previous Yosemite version. It offers better performance when it comes to switching apps, launching apps, open PDF file format, faster display of first mail messages etc. The new user interface on Mac OS X El Capitan optimizes the iOS9 which makes it more user-friendly compared to Yosemite. It definitely saves a lot of time and efforts of users. This is the another advantage of updating to this 10.11.4 version as it offers enhanced international language support. Apart from San Francisco font, Japanese, and Chinese character based languages are added to this version as language enhancements. Users are allowed to re-size and move the Spotlight window around the screen as the Spotlight feature has become even smarter and more flexible. Another important facility it offers is now users can write queries in natural language. This suggests that users can track down the mail messages and document easily without entering any complicated Boolean operator. Many new services like Apple Maps, videos, weather information, stocks and other information are all available in Spotlight. - Mission Control: This OS version offers full-screen tweaks and specific mission control features. Mission Control displays the name of the existing applications at the top of the screen page replacing the thumbnail feature of Yosemite. You can use Mission control to have a quick view of apps and easily switch in between the open apps. Here windows are separated rather than overlapping each other like that in Yosemite. - Split View: Split View mode allows users to place two windows without resizing them manually. You can run two full-screen apps side-by-side using this feature. It can be very useful when working simultaneously on two windows. El Capitan definitely offers extended security features and makes work on it more secured. It restricts third party software thus your system may need to cope with fewer bugs and other threats. It offers double-coding system and several passwords encrypted recognition security features to make it more secured. These security features can help you improve your user experience on the system. El Capitan offers enhanced maps with maximum public transit information on it. It offers in-built public transport maps, schedules, and directions. Using this you can plan your route with few clicks. You can now read or manage the emails better on Mac OS X El Capitan with new Swipe gesture and improved full-screen support. You can use your inbox to manage your contacts and calendar events. You can mark mail read or unread with a single swipe. Map transit information is limited which can be enhanced. Spotlight data sources required being tightened up. Issues when using Split view. Third-party apps could be incompatible. Mac drains the battery and gets hot. Compatibility issues with Word 2016. Safari fails to save the cookie for some websites. Safari crashes sometimes for certain page elements. Despite having minor problems it has not major issues which cannot be solved. In fact, these minor issues don’t affect users significantly. With the better operating system, you can avert certain issues like disk getting full where it shows messages like ‘startup disk is almost full’ and others. Overall, the advantages OS X El Capitan offers are impressive and effective with the new operating system version. It helps you improve your work quality and saves your time. Yogesh Sharma is working at Systweak Software, as an SEO analyst and technical Content Writer. His forte of writing is ransomware, virus, windows and mac and he is keen interested in writing other technical blogs.